Little pots of nourishing bathtime loveliness! 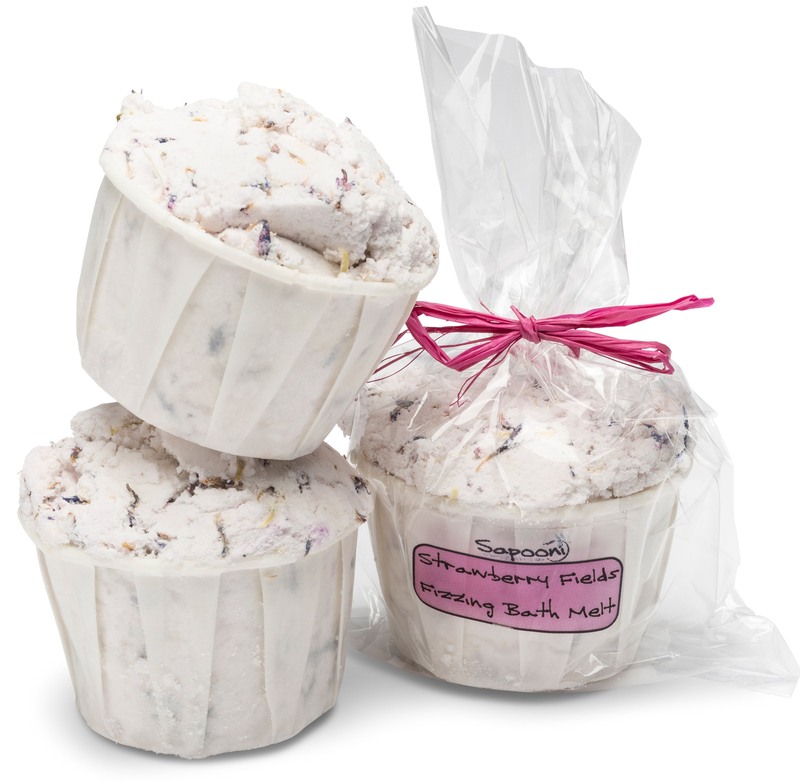 Formulated with loads of nourishing Cocoa Butter, and scented with natural essential oils with a warmly uplifting scent. 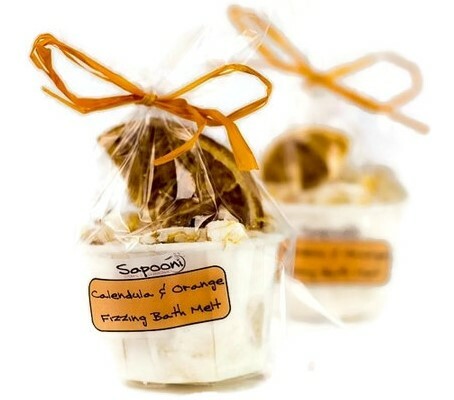 A fizzing bath melt is a little pots of bathtime loveliness; gorgeously scented, they soften the water as they fizz away, adding oodles of cocoa butter to the water, which will leave your skin feeling nourished, smooth, soft and pampered. Formulated with Calendula petals- used for centuries to calm inflamed and irritated skin- and Sweet Orange essential oil for an uplifting, zingy scent. 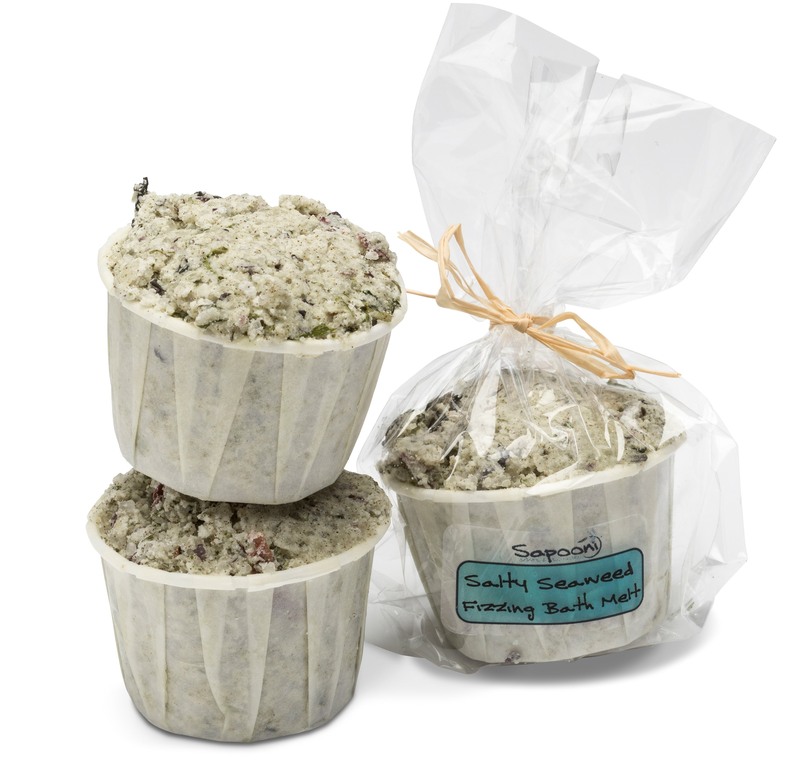 Simply pop the whole fizzing bath melt (pot and all) into a hot running bath and watch the bath melt slowly mingle with the water. Enjoy a lovely long relaxing soak; but do take care when getting out, as it may make your bath and/or feet a wee bit slippery. 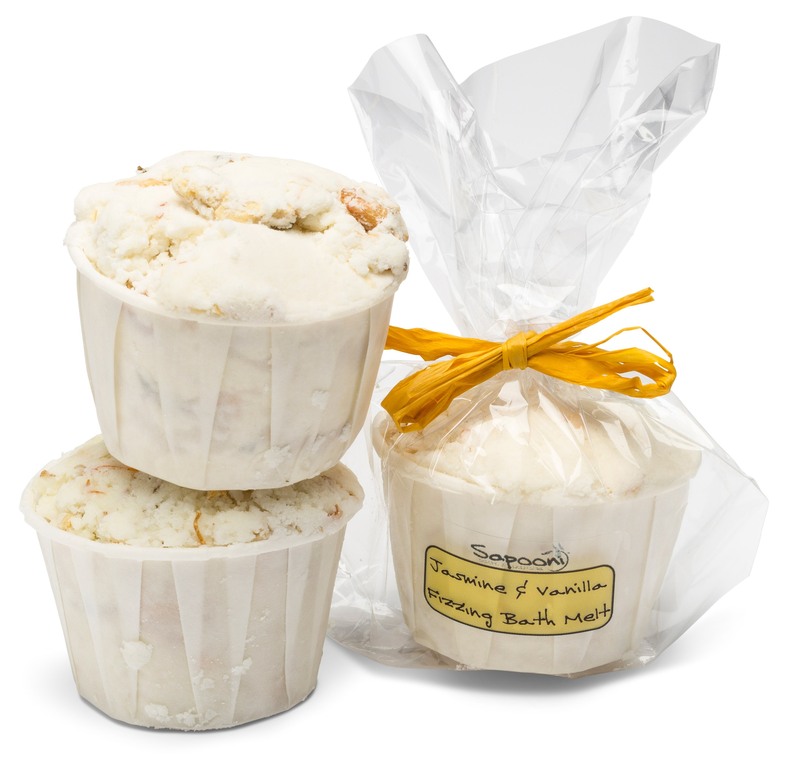 70g e, presented in a paper souffle cup, and finished with a hand-tied raffia ribbon. Cocoa Butter; A wonderful moisturiser, especially for dry, itchy or chapped skin. We add generous quantities to every fizzing bath melt, to really nourish and pamper dry, irritated or tired skin. Citric Acid; Combine this with Sodium Bicarbonate, and you get that fabulous bath bomby fizz. Everyone who’s built a volcano at school knows the secret! It’s a natural anti-oxidant and gently astringent. Sodium Bicarbonate; This combines with citric acid to give our Melts their fab fizz, it is also reputed to help balance the skin’s pH. Sweet Orange Essential Oil; Very gently astringent, so helps to gently regulate the skin’s oil levels. Patchouli Essential Oil; Used for centuries as an incense, the distinctive scent is instantly recognisable and evokes a sense of warmth, well-being and sensuality. Calendula Petals; To help repair damaged or inflamed skin. Sodium bicarbonate, Citric acid, Theobroma cacao (cocoa) butter, Zea mays (corn) starch, Citrus Sinensis (sweet orange) oil, Persea gratissima (avocado) oil, Pogostemon cablin (patchouli) oil, Calendula officinalis petals. Naturally found in essential oils; Citral, Linalool, Limonene.